Hopefully you aren't sick of us posting about boots and studs but we can't seem to get enough...frankly, I'm finding the high street a bit dull in terms of clothes this season, but studded footwear is an entirely different story! We've recently brought you our favourite studded boots, studded wedge trainers and studded converse...what more could there be I hear you ask?! 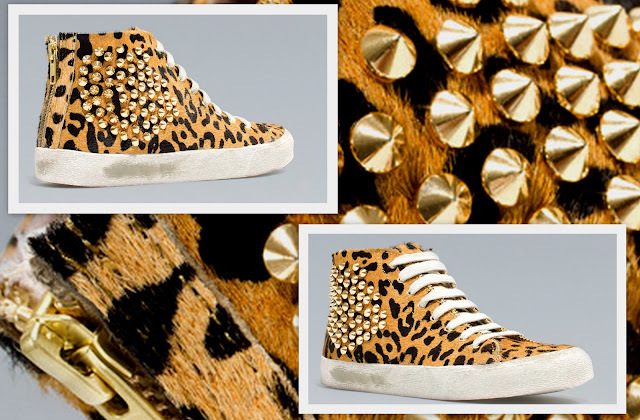 Well get this...studded animal boots!!!! I spied these beauties about 3 weeks ago when they were 'Coming Soon..' on the Zara online site, I registered for an email reminder for when they landed and forgot all about them. That is until I got the email this week alerting me to the fact that they're IN!! I somehow have managed to exercise a lot of restraint, and so far have resisted purchasing them, but I must admit I am weakening and this post is only going to chip away at my resolve...!! 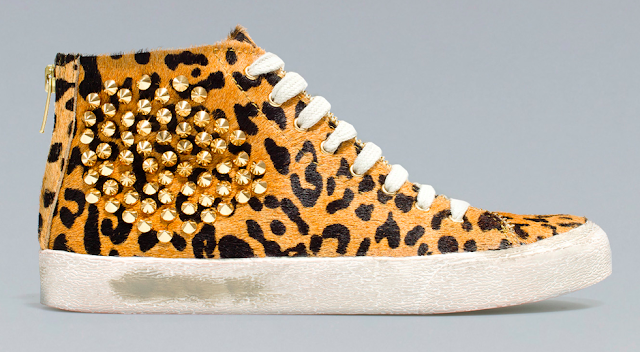 100% leather with leopard print, gold studded detail and a chunky gold zip down the back...immense!